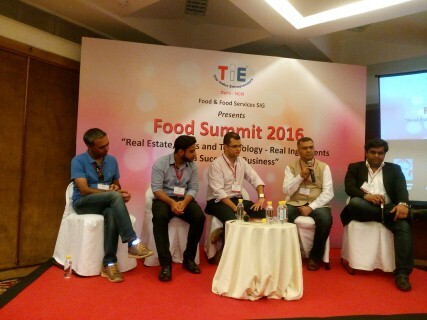 I remember in 2014, when The Indus Entrepreneurs (TiE) launched an initiative to expand the start-ups scene globally and help them reach $1 billion in value, being a food enthusiast my first thought was – what about food start-ups? Would it have the potential to reach the mark or make an impact, discounting all the challenges that come with changing consumer mindsets, involving innovation, and creating a safe and healthy ambience. It wasn’t easy, but when on May 6, 2016, I arrived at the Casuarina Hall in India Habitat Centre in New Delhi, I saw my answer right in front of me. 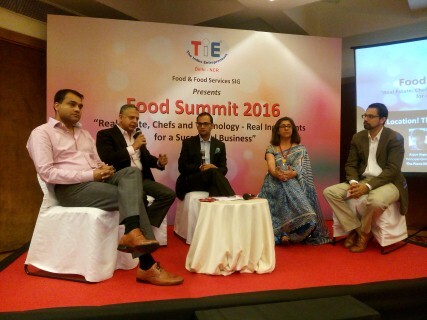 It was TiE’s Food Summit for 2016, and a hall full of enthusiastic participants showed the passion the community has to take food to a different level and shape consumer interest along with it. I mean, have you noticed that today every information platform is interested in showcasing the works of the talented chefs and the different recipes. In fact, even technology and finance-focused platforms are seen to be highlighting food stories and recipes as part of their social media promotion to develop consumer interest. While a few years back, Chef wasn’t a lucrative profession, due to the lack of visibility. But today, Chefs are the rockstars. 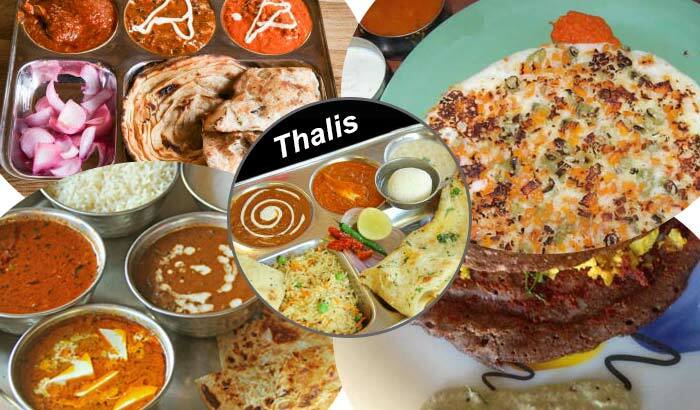 They are the ones who decide on the crucial factors, such as the menu, the restaurant positioning, and the health and safety compliances, among others. 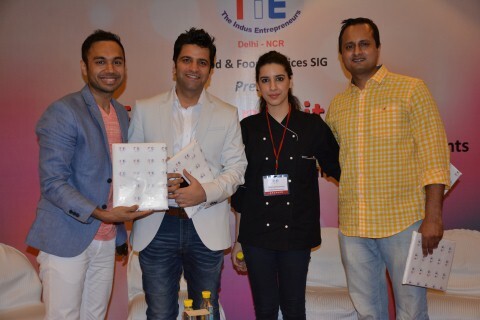 It’s this factor that was highlighted at the Summit by eminent chefs, such as Chef Kunal Kapur, Celebrity Chef & Restaurateur; Chef Anahita Dhondy, Sodabottleopenerwala; Chef Vikramjit Roy, Chef de Cuisine, ITC Hotel; and Chef Saransh Goila, Celebrity Chef. From the outside, this industry may seem to be glitzy and to be continuously surrounded by glamor, but it isn’t so. The backdrop of this glamorous front displays a grueling journey that any entrepreneur has to struggle through to get the desired outcome. With today’s consumer being more positively conscious of the food they eat, and with the constant information sharing enabled by social technologies, it has become a no-brainer that a business has to ensure a strong foundation that meets these requirements of a consumer. To prove the business adequacy, create awareness and consumer interest, and even handle the ever-growing financial requisites, makes the initial road for every entrepreneur difficult. And organizations have realized the importance of helping this batch of home-grown entrepreneurs. Kavneet Sahni of Culinary Communications Pvt. Ltd. spoke of a similar platform, “I Left It All for Food is a platform that provides an opportunity for upcoming entrepreneurs to showcase their product/services to their targeted consumers.” Be it a Food Truck, Cafes, Food Technology, Food Service, Home Catering or Home Baking, the platform allows entrepreneurs to share their stories with visitors of The Gourmet High Street. 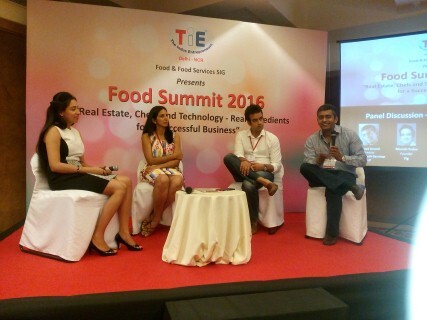 The platform is also supported by TiE, who invites Angel investors, Incubators, Accelerators, at The Gourmet High Street to give these foodpreneurs a chance to follow their passion. In fact, TiE also mentors promising entrepreneurs for an investors pitch and gives them opportunity to connect with possible investors through TiE’s Food Special Interest Group initiatives. 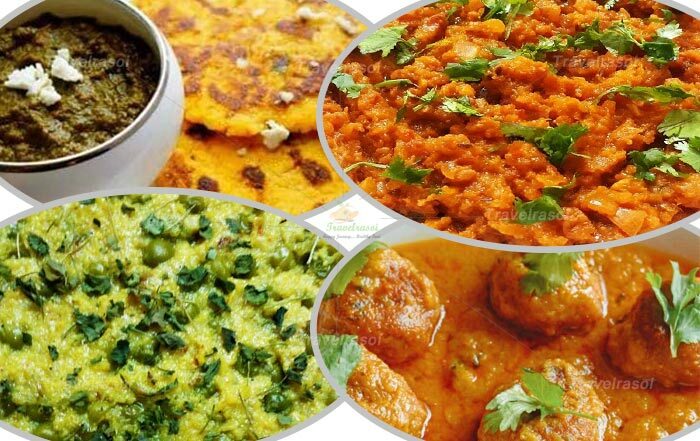 According to studies, India’s food market size is set to reach around Rs. 42 trillion (approx. $646 billion) by 2020, and the food tech market (the services market) is about $50 billion. Going by the statistics, it’s interesting to know how the food industry is luring professionals away from the dominant markets to build their own gastronomic empires. For some it was a tactical move, while others grabbed into an unexpected opportunity. For instance, Puneet Singh Anand of Azimuth Services LLP was initially in merchant navy, however sailing away from home wasn’t very fulfilling as he wanted to come back and work on something of his own. What would it be wasn’t decided, and during a regular row of license updating talks over a cup of coffee that he realized the lack of a proper food system within that vicinity. That’s how they began with a food truck business, which now has expanded to eight food trucks. 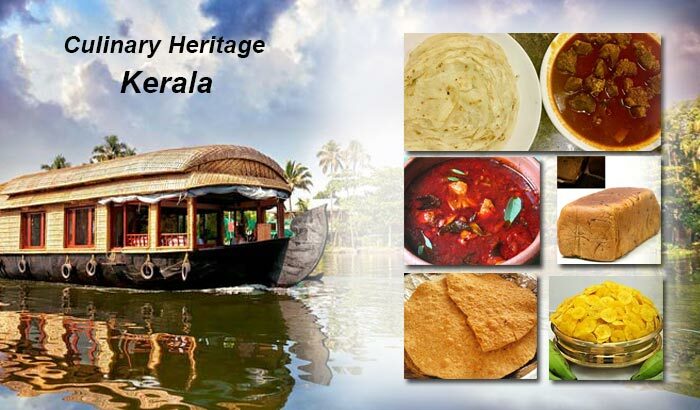 On the same lines, it’s important to mention the journey of a brain scientist, Nandita R Shetty, who left her job in Boston to enter India with the mobile kitchen concept and thus began Flavor Labs, which was soon acquired by Inner Chef and Nandita remained onboard to handle new launches. And then, there’s Manish Yadav, who left his consultancy job to create a healthy food business that delivers ready-to-eat meals across Delhi . With passion comes innovation, and today’s technological advances create better avenues to streamline the food business and apply lean tactics in food production. Bal DiGhent, Co-founder, Innerchef; Piyush Gupta, Founder & CEO, Yumchek; Veer Anukul Chandhok, Founder & CEO, Dana Choga’s Kitchen; Ashish Tulsian, Co-founder & Chief Everything Officer, Posist; and Ankit Mehrotra, Co-founder, Dineout were all found discussing the critical role technology plays for any business today. Be it managing the inventory or tweaking cooking style to eliminate wastage, be it connecting with the consumer through the various social platforms or connecting various branches of restaurants around the world to maintain a uniform standard, or be it presenting the users with the best choice for every meal they eat right at the push of a button or simplifying the point of sale by taking it all to the cloud, technology has enabled an efficient way to create a lean and convenient food atmosphere. Along with technology, a restaurant business cannot keep up without the right location and of course funding. There would be various properties where you would want to begin your journey, but for that the entrepreneur needs to gain the confidence of the developers. 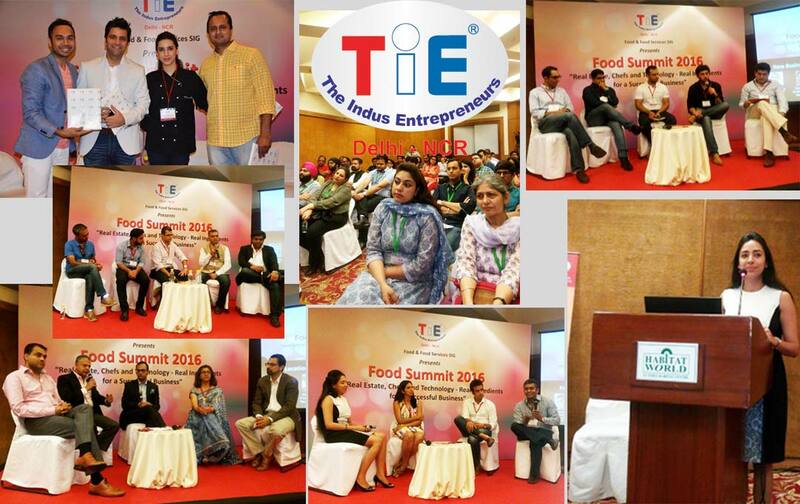 As Dinaz Madhukar, Sr. VP of DLF Luxury Retail & Hospitality said, “Help us to help you. Project your brand with numbers and show us the passion that you have. “Another important pointer that a zealous foodpreneur must take into consideration is to refrain from quoting unrealistic figures. In fact, one must provide forecast figures towards the lowest two digit figures to balance the immediate high returns with the cumulative losses that a business faces as it grows. While Paul Prudhomme was right, when he said, “You don’t need a silver fork to eat good food,” but to create that good food you do need some gold coins, to be more specific a decent financial back-up. This is where angels, venture capitals and entrepreneurs can pitch in to create a bullish and open restaurant industry. A similar aggregation was found in the TiE event where Ashvin Chadha, Angel Investor, Indian Angel Network; Sagar Daryani, Co-founder & CEO, Wow! Momo Foods; Anurag Kapoor, Executive Director, GHV Accelerator; Prateek Soni, Co-founder, Foodport; and Ishan Singh, Founder, Re Capital Ventures discussed about new business models and funding sources that can help create a more friendly environment for new entrepreneurs. -New avenues for funds, greater accessibility to new improvisation techniques and business-friendly locations, augmenting mentoring programs and zealous foodpreneurs – end of the day, that’s how I would define the bourgeoning food industry. The skepticism that I had with regard to the acceptability of entrepreneurs in this market is lost with the assured ways the industry is embracing the Indian thinking caps to flourish. In all, I can definitely see a trillion rupees market in the near future. 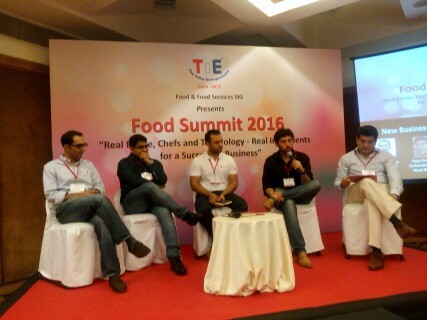 Share the post "Rockstar Chefs, Trendsetting Foodpreneurs Set Their Mark @ TiE Food Summit"